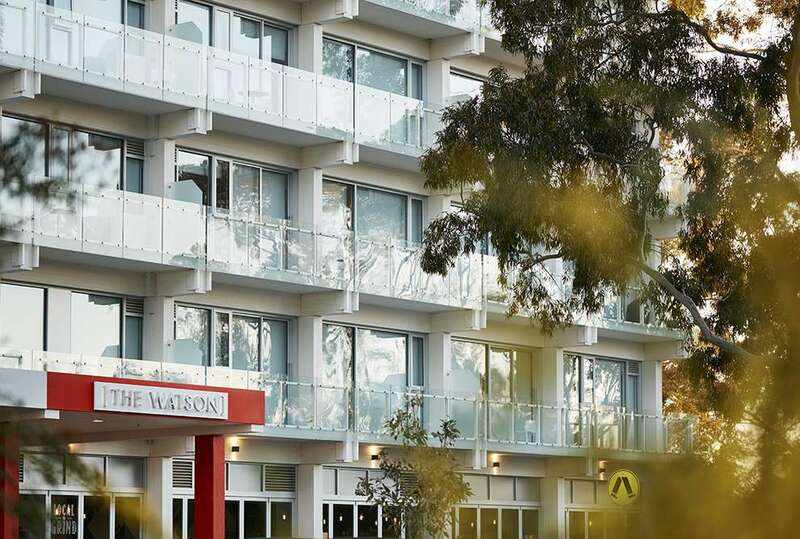 The Watson Hotel, on the outskirts of the Adelaide CBD (in the suburb of Walkerville, to be exact, which is 6.9 km away from Adelaide city, or around 15 minutes by car/bus) is the gem of the city. Yes, it is. It's also only half an hour from the Barossa Valley and McLaren Vale wine regions, so it's a perfect place to stay for day trips, and those decadent wine tasting weekends you keep talking about... yep, those! (Do it!). Josie's Juice was lucky to stay there for two days with family in tow, and, as first timers for all of us to Adelaide, we can all now say we are HUGE Adelaide converts. What IS it with you Adelaideians? You are all so NICE! Like, every one of you. Even if you look remotely lost, someone will help. The Watson Hotel site is the old Transport Department building, and the developers have done a beautiful job of keeping the heritage of the building, while ensuring it's distinctly hotel-like and having a very cool vibe about it all. Frankly, the people behind it all are extremely talented. Read more about them below. What I DO love is that every staff member knows the history of the place, and speaks with confidence about how the hotel came to be. They speak proudly about the artist who inspired the decor and design of the hotel: Yannima Pirkarli Tommy Watson. More on this talented artist with an Aboriginal heritage below. Oh, and if you're in Melbourne, and want to emulate this Art Series Hotel experience there, stay at this hotel I also was lucky to stay at: the Larwill, in Parkville. (They have several properties in VIC). Yes, these are the rooms. SO beautifully appointed with each and every detail. The thought that has gone into this, and each of the hotels in the Arts Series Hotel Group is so divine, so individual to the personality of each hotel, and makes you feel right at home for your stay away. The gorgeous upstairs patio area, available to hotel guests. A perfect spot for an afternoon drink, overlooking the Adelaide Hills. The supremely talented artist Tommy Watson, after whom the hotel was named. 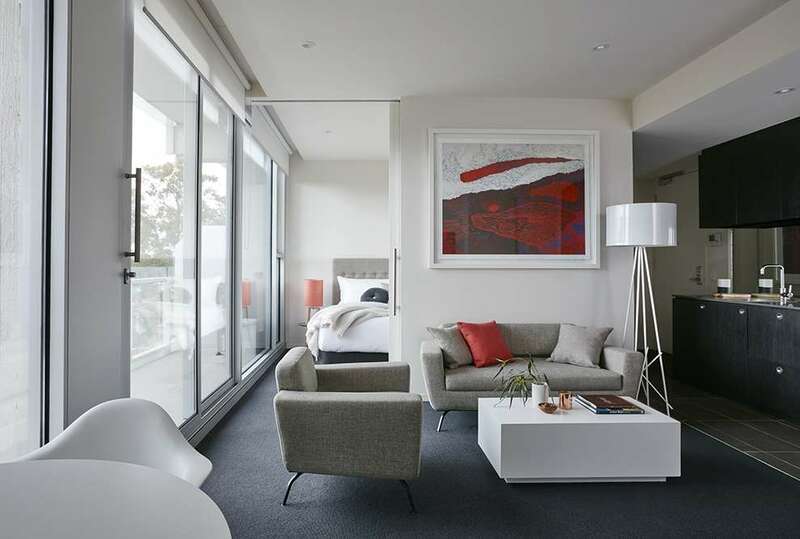 Art Series Hotel Group was delighted to bring its award winning art inspired experience and personalised service to Adelaide’s prestigious suburb of Walkerville, with the launch of luxury boutique hotel and residences; The Watson. 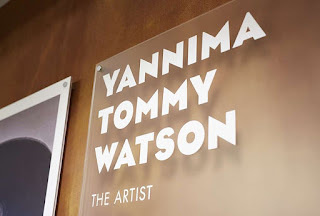 The Watson was the fifth hotel to join the group is devoted to one of Australia’s greatest living Indigenous artists Tommy Watson. Over 140 hotel suites and Art Series Residences, in addition to multifunctional public spaces, showcase vibrant works that represent the colours and topographical landscapes of Watson’s country. The Art Series Hotel concept is the brainchild of Melbourne dynamo Will Deague. The Deague family has a long history as patrons of the arts and is passionate about Australian art, including indigenous talent. “It is very exciting to have such a preeminent artist in our fold so as to celebrate with our guests this important aspect of artistic expression in Australia. Watson grew up near the tri state border of South Australia, Northern Territory and Western Australia, making Adelaide an obvious choice for his celebratory namesake Hotel," says Will. Each open-planned, self-contained suite overlooks the colonial beauty of the Adelaide Hills, the River Torrens and the Adelaide CBD. 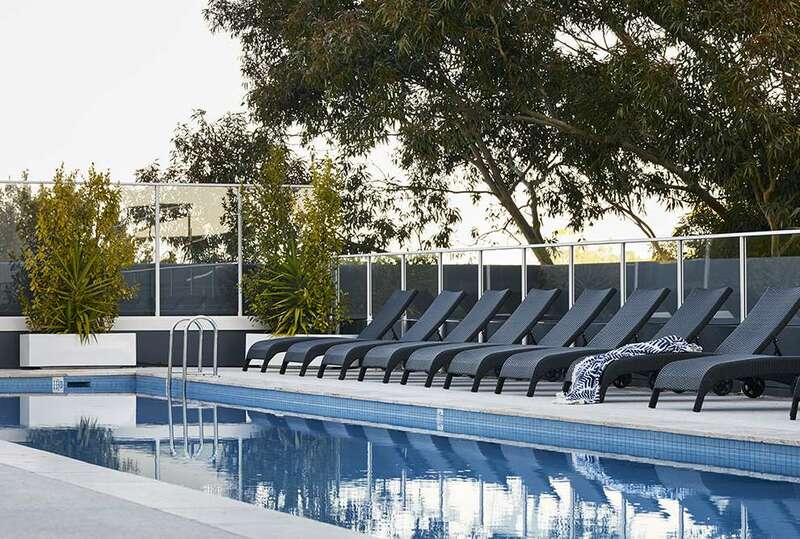 Developed within one of Adelaide’s prettiest and heritage-driven inner-city suburbs with a communal village feel, The Watson is a stone’s throw away from the rich cultural and natural offerings of the surrounding areas including Barossa Valley, McLaren Vale, the South Australian Art Gallery and Adelaide’s rolling beaches. Olympic Gold Medal winning swimmer Michael Klim has contributed to the hotel development by providing his professional knowledge to the health and fitness department. assisted in designing a multifunctional wellbeing space incorporating a 25 metre lap pool and deck area on level two of the hotel. The in-house restaurant, The Local Grind, celebrates the city’s stake as Australia’s wine capital by tantalising guests and visitors with locally produced gourmet food and drink. Open seven days a week, the restaurant offers take-away options and á la carte menu. For those wishing to reside at the hotel for longer, The Watson offers the ultimate luxury apartment living, Art Series Residences. 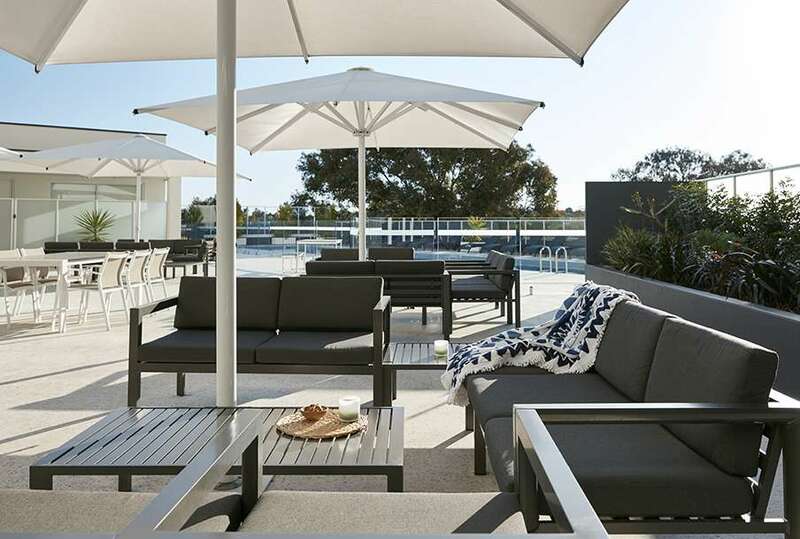 Short and long term rental opportunities from $420 a week are coupled with access to designer furnishings, concierge service and combined recreational and retail facilities. 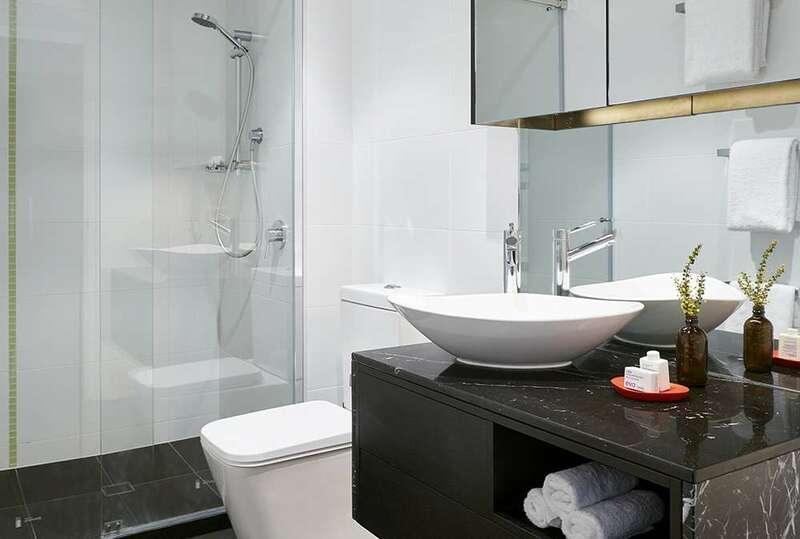 The proximity to Adelaide City Centre (3.5km) and the suburb’s premium feel, make it the perfect residential option for those looking for an affordable, bespoke lifestyle experience. Guests and residents can enjoy leisurely walks along the River Torrens or cycle along Linear Park to be in the heart of the city in 10 minutes. 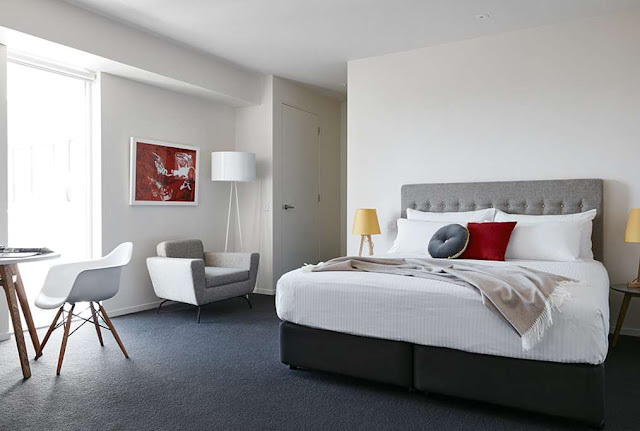 The Watson boasts signature Art Series signature comforts throughout to create a home away from home, including gourmet kitchenette facilities, free WiFi, Foxtel played on state of the art 42” LCD screens and iPod docking stations. 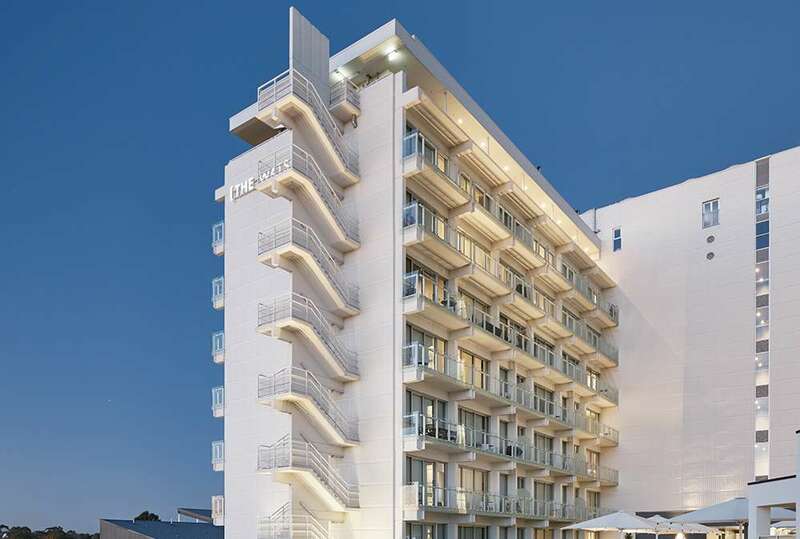 The hotel ensures a unique, educational experience for all and offers private tours with an in-house art advocate, dedicated art channel and art library in every suite. Smart cars, scooters and bicycles are available to explore further afield and knowledgeable, enthusiastic staff ensure the highest level of personal service to guests seeking distinctive and out of the ordinary accommodation. You guys, I can't recommend The Watson enough. If you'd like to get away from the hustle and bustle of the Adelaide CBD, this hotel is for you. As it's closer to SA wine country and day trip opps than the city centre, it's a perfect spot for you to launch your mini break from. Cabs and buses are readily available right outside your door, and we became bus timetable experts in no time, using the well organised Adelaide bus system regularly. If you like, you can always hire a bike or a eco friendly car from the hotel, too. Love this place, and will be back. Five stars! 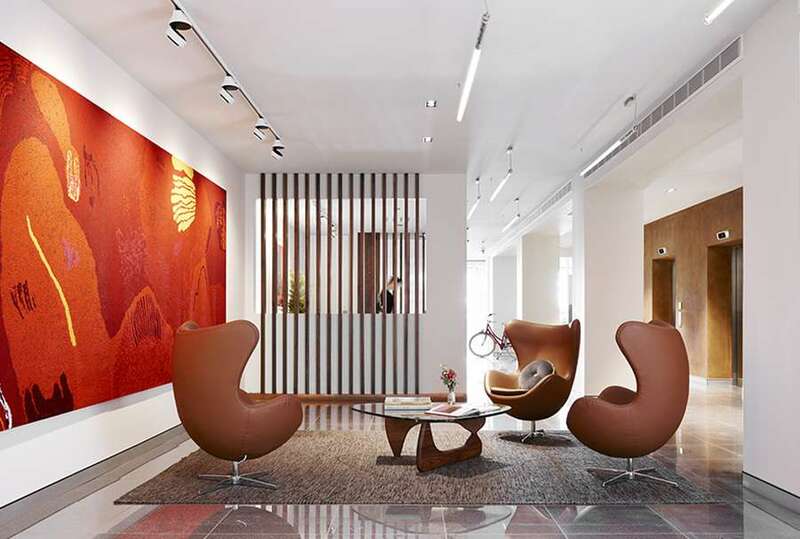 The Art Series Hotel Group is the brainchild of Melbourne entrepreneur, Will Deague. The Cullen hotel was the first Art Series Hotel to open in 2009, followed by The Olsen and The Blackman in 2010. In May 2014 the group introduced an innovative evolution of the brand with the expansion to unique locations around Australia at an affordable price point. The Schaller Studio in Bendigo was the launch property of the Studio concept in May 2014 and The Larwill Studio shortly after that in Parkville September 2014. Yannima Pirkarli Tommy Watson was born circa1935 near the tri state border of South Australia, Western Australia and the Northern Territory. Pirkarli refers to a sacred flat rock and Yannima is a site near where the artist was born. Tommy Watson began painting in 2001 as a founding member of the Irrunytju Arts Centre at Wingellina, Western Australia. 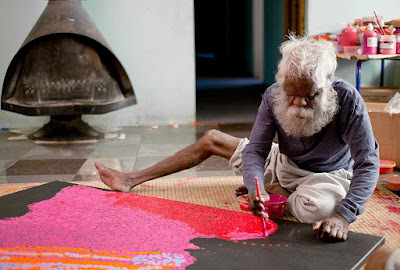 His work has since been exhibited throughout Australia and is represented in numerous significant public and private collections, including the Art Gallery of South Australia, Art Gallery of New South Wales, National Gallery of Victoria and the National Gallery of Australia. In 2005 he was commissioned to create Wipu Rockhole, now permanently installed on a ceiling at the Musée du quai Branly in Paris. This commission assisted in establishing his reputation as one of a handful of internationally acclaimed Aboriginal artists. 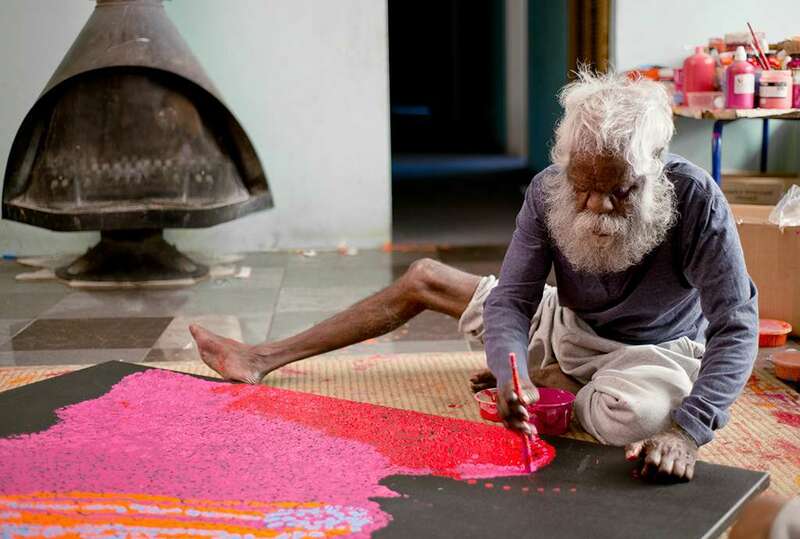 Tommy Watson is a senior elder closely tied to the traditions and sacred beliefs of Pitjantjatjara People, but resists painting as a tool to lay bare this philosophy. Instead, his paintings are abstract meanderings, meditations on colour, and always inextricably linked to a spiritual attachment to the land. In this way Watson conveys the intangible nature of the land and its sacred mythologies. In each work there is a palpable sense of experimentation and play. This is demonstrated by the shifts in patterning; at times we see swirling constellations, in others more discernible geometric shapes. The use of dots, repeated in a seemingly endless way, has the effect of a constantly dynamic visual field, pulsations which ripple across the canvas. At times we see striking contrasts such as lurid green against a blood red or deep blue on orange. Elsewhere, in a series of work from 2009 which verge on the monochromatic, the works demonstrate subtle gradations of oranges, pinks and reds. Watson is able to confidently work on large canvases in a way that captures the largesse of this landscape. The intensity of line and colour radiate with a breathtaking presence positioning him, without doubt, a remarkable Western Desert Artist. Follow them on Instagram HERE.